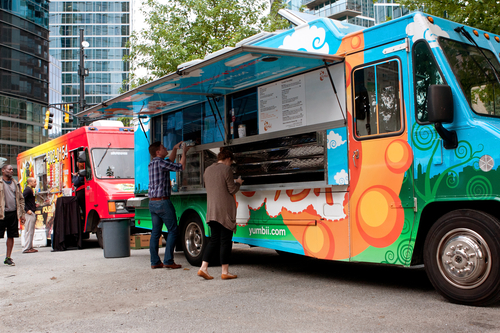 A mobile food unit is a food and beverage service establishment that is a vehicle mounted unit, either motorized or trailered and readily movable without disassembling, for transport from one location to another. A Unrestricted unit: has open food and requires a sink. A restricted unit: Only has packaged foods. A Conventional: is a enclosed unit that meets general requirement for mobil food units. A fixed location/Park Vendor: Small open air cart which operates on the premises of one permitted food establishment that serves as its commissary or that operates at a city park. Every mobil unit must have a Medallion, Electronic monitoring, Pre-opening inspections, Plan checking and submission, LP gas permit, and a water sample. The laws surrounding these documents can be very confusing. Food Safety International will create the proper documentation for you and fast track you through long lines and endless questions. Our certified staff will conduct an on-site inspection of your mobile unit, process the appropriate documents including your plumbing graph, and site plans. We will submit all documentation for approval to the appropriate authority. Let FSI get you rolling on your new business today!